Are you in need of used car parts Peugeot 807? Bart Ebben is the right supplier. As a professional cardismantler we stock used car parts for Citroen and Peugeot only. With over 35 years of experience in cardismantling as a breaker Bart Ebben knows your second hand car parts needs as a customer. Stocking high quality spares for your Peugeot 807 MPV. Our warehouse contains many engines and gearboxes, but we can sell virtually any car part for the family car. An airbag, an ECU or a front bumper is just as common for us. Dismantling of the vehicles is down in house, this way we can even deliver parts at your individual specification. 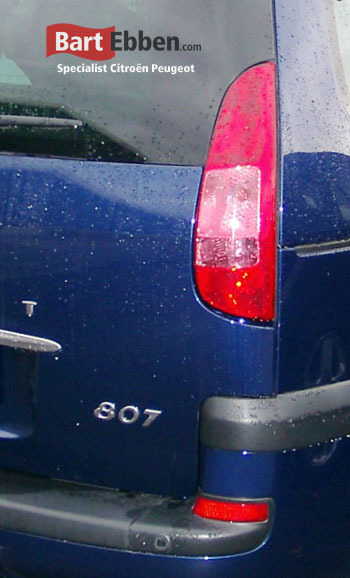 Find the right Peugeot 807 used car parts in our online catalogue. Prefer a phonecall? Our salesmen are ready to help you, or send us a part request. After our salesmen provided you with a suitable second hand Peugeot 807 car part, shipment can be arranged as well. We ship salvage spare parts all over the world each day and take our packaging very seriously. Please let our salesteam inform you on the specific, individual details.